Hey, writers! I’ve spent the last few days constructing this hodgepodge of miscellaneous tips and advice. These are basically topics that aren’t expandable enough for their own posts just yet, but are still totally worth mentioning. 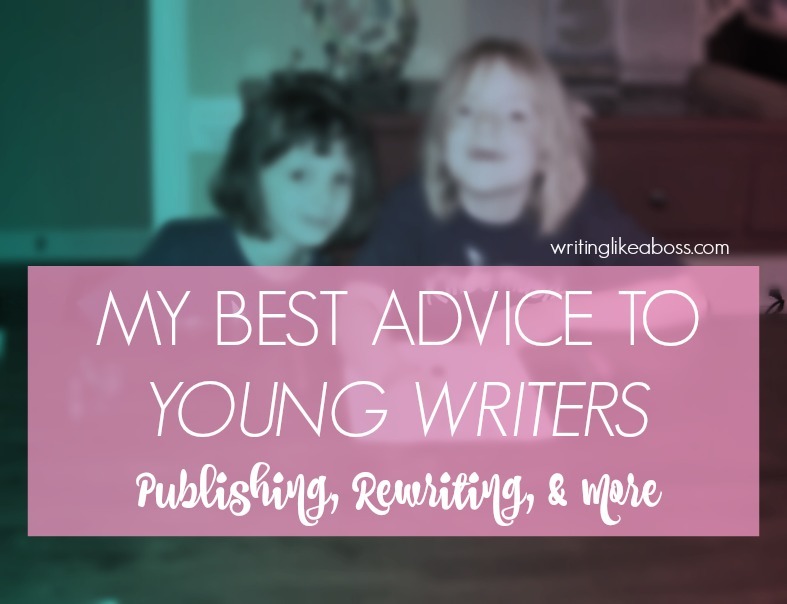 This list is geared toward young writers, but I don’t think there’s anything wrong with an adult using it as well! For those of you who don’t know me: I’m fifteen years old, self-published, and known for killing off the best character in tragic ways. So this is a list for young writers, by a young writer! #1: Never be afraid of self-publishing. For some writers, self-publishing = evil. Yes, I will admit that it would be fabulous to see my book on Barnes and Noble bags. I daydream about having a buzzing message board just for my book series. Watching my very own fandom grow to incredible heights, just like my favorite authors. I imagine going to book signings, getting my own licensed merchandise, etc. etc. It’s a sweet, sweet dream. And no one said it’s impossible, mind. But don’t forget that no one started as a literary, world-renowned book master! Not even Jane Austen was born with a book and a quill in hand. Everyone started out just like you: a writer with a dream and a story to tell. #2: Participate in NaNoWriMo at least once. You don’t need to be “good enough” to partake in NaNo. 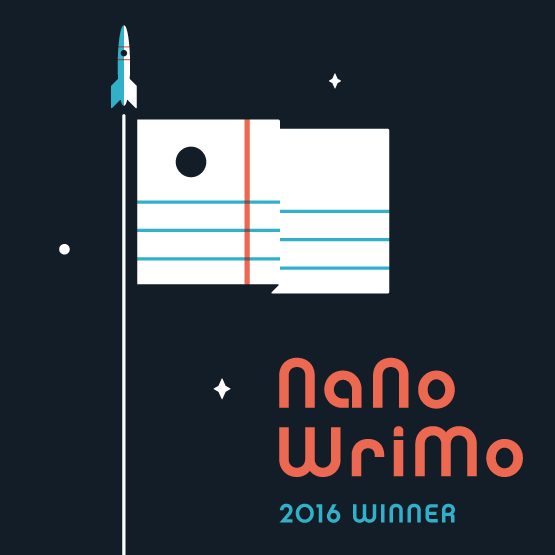 NaNo isn’t just a November thing: so if you’re too busy to write that month, you can sign up for Camp NaNo in April and/or July. Don’t think you can write the overwhelming 50K? Participate in the YWP NaNo instead, in which you can choose your own word count for the month! The site is intended for ages 17 and under, but there’s absolutely no shame joining the site if you’re older. 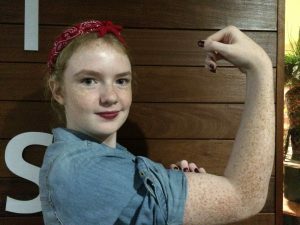 The YWP is also a fantastic alternative if you’re under the age of 13, and their online communities are super kind! NaNo is one of the most rewarding experiences for a writer. You complete NaNo, you can do anything. Not to mention the prizes you get if you meet your word count, including (but not limited to) lovely publishing opportunities! Don’t let anyone tell you you’re “too young” to be a writer. You’re never too young, okay? You ought to tell that little voice to get outta town, because it’s a big fat liar. I hear it too, sometimes. But we’re better than that! I self-published my first novella on Amazon at age 13. It’s as ridden with mistakes as a potato is ridden with butter, and very few people outside of friends and family have bought a copy. But I’m so glad I published it: It’s opened so many new doors for me and my writing. So never, ever give in to those voices – whether they’re your peers or your own thoughts – and keep writing. You can do this! Now we’re back to the point of NaNoWriMo. NaNo is a fantastic way to test your limits as a writer, because you’re likely writing more than you’ve ever written in such a short timespan (or ever). Outside of NaNo – sorry, I’m a little obsessed – test yourself whenever possible. Try out new genres or styles, introduce new ideas, or maybe even write from the POV of a different animal for a while! #5: Read as much as possible. Most importantly, read books in your writing genre/style/whatever. For example: if you’re writing a Steampunk novel, maybe read some dystopian or fantasy. Or if you’re testing out a different tense/person, go find yourself a book in that same style. Don’t forget: a writer who doesn’t read is like a chef who doesn’t eat! 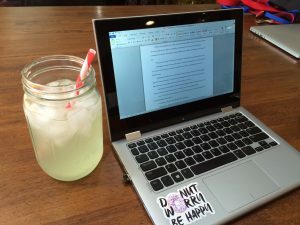 #6: Always have a glass of water when you write. This is a much smaller tip, but it goes further than you’d think! August also happened to be a big writing peak for me. I was writing like mad, both traditionally and on my laptop, and had already started planning my NaNoWriMo project. In order to keep myself from growing faint, I had to drink loads of water that month. To make a long story short: I developed a habit of drinking 2-3 glasses of water every time I sat down to write. Even as late as December, I was still chugging ice water while I worked. In essence, keeping a glass of water with you while writing has 2 perks: 1) Keeps you hydrated (obviously), and 2) keeps you focused. As an added bonus: it keeps you cool when your AC is out! You never know when it could happen. #7: Self-esteem is key to success. I was having those thoughts just this morning. I did one of the worst things a writer can do: I compared my own novel to other historical fictions. Comparing your work to that of someone else is never good, because you either a) degrade yourself or b) degrade the other writer. But we have to try, as best we can, to make sure we love our writing. This way we’re more productive, more inspired, and more confident in ourselves. Like I said, it certainly is easier said than done. So what’re some ways we can keep our self-esteem skyrocketing? Start a Pinterest board for inspiration. I have a ton of these. You can use the board to pin quotes, Bible verses, photos, articles, etc. to remind yourself that you are a fantastic writer. Accept compliments, don’t dismiss them. For example: if someone told you, “Hey, I loved your latest chapter!” don’t reply with: “Really? I don’t.” Let your compliments fuel you to keep going! Keep your best piece of writing nearby to read whenever you feel down and out. Hey, remember that short story you wrote last October? That was really neat! #8: You will never regret rewriting. 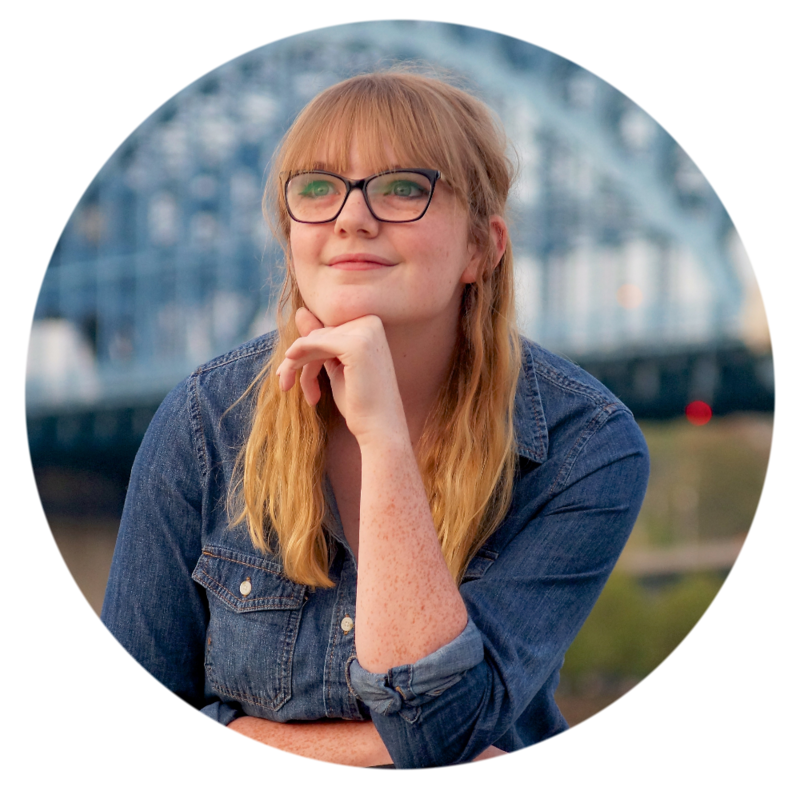 If you’ve been around WLAB for a while, you may know this about me: I love rewriting. I seriously cannot stress it enough! I’ve rewritten entire books countless times. I’m presently doing so, and have intentions of continuing to do it in the future. But why is rewriting so darn rewarding? Well, let’s look at the science of it. You know your old writing like the back of your hand. It adopts a repetitive sound in your mind, beating to the same rhythm over and over and over again. Even though your readers don’t have this problem, it’s hard to remember that. This is usually why we start to dislike our writing: it’s boring and predictable to us, BECAUSE WE WROTE IT, so we assume it’s bad. When you rewrite it, however, it becomes fresher in your mind. Suddenly it isn’t as boring as before, giving you the impression of “better.” Still with me, guys? Outside of that fancy physiology stuff, rewrites can result in genuinely better writing. (Not just in your own mind, but in the minds of others, too!) It’s kind of like in the case of editing: maybe while writing your original draft, you didn’t have enough time to think through your story. But during your pre-rewriting stage, you’ve got the chance to fully develop your ideas before you get started. Hopefully I didn’t lose you there. Additionally, don’t forget that rewriting is an essential part of the editing process! #9: You have infinite tools at your fingertips. Use them. 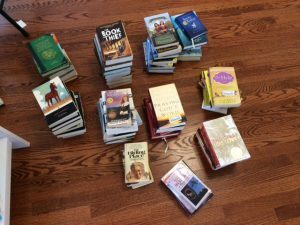 Books and the Internet. 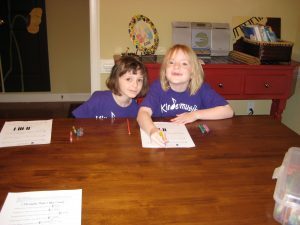 These two are magical weapons for any and all writers, from the 8-year-old writer of dragons and castles to the 60-something nonfiction storyteller. 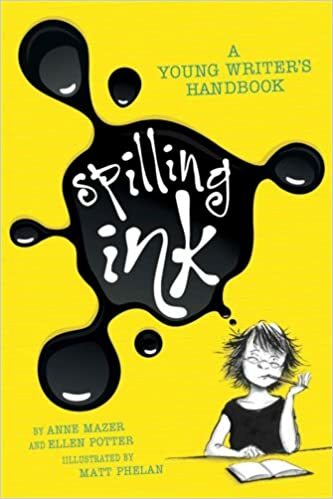 There is a great handbook for young writers called Spilling Ink, by Ellen Potter and Anne Mazer. I’ve had it for a few years now, and I still reference it all the time! It’s slightly lopsided on my shelf because I take it down and put it back so often. The book is basically everything you could ever need to write a book, put in easy-to-understand terms and chock-full of humor. I seriously recommend it! My personal advice: if you can, join Pinterest. It’s not just a website for crafty moms, I swear! I made my first account on the site 3 years ago. Man, I was excited. I pinned photos of horses and cakes for days. But ever since I figured out how great a writing tool I had at my very fingertips, I’ve grown into such a better writer. Yes, Pinterest made me a better writer. Scoff all you want, but it’s true! #10: Value the advice of others. And don’t be afraid of sharing your writing with others, especially your fellow writers. Don’t shy away from their critiques: sometimes they’re harsh, yes. But in the long run, they can shape you into a better writer! For more, check out The Only Writing Rules You’ll Ever Need – Being a Boss Writer. Anything to add? Questions? Let’s chat! Great post, Sam! It’s funny, actually… Whenever I used to write furiously for hours, I chugged tons of water, too! But seriously, these are some great tips, and a really well-written post! I enjoy reading your conversational and uplifting style… Keep up the good work!